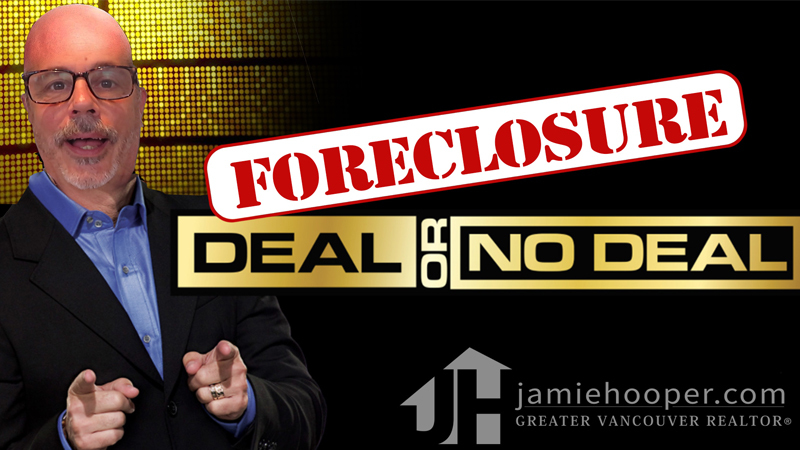 In this weeks video, Jamie explains how the foreclosures do not necessarily mean you get a deal. Home Foreclosures – Deal or No Deal in the 2019 Bubble Market? Earlier today, I heard on the radio that bankruptcies in British Columbia are up 20% in the last year. I have also had people say to me, “If you see any foreclosures, let us know; we’re always looking for good deals.” It’s human nature looking for a good deal; we all want one! Let me explain how the process works if a homeowner is foreclosed upon. 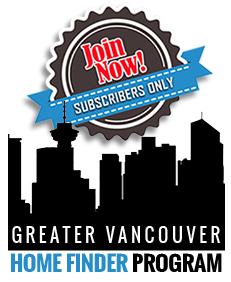 Let’s say John Smith bought his house 15 years ago on the east side of Vancouver and he paid $500,000. John put 10% down on it at the time ($50,000) and he faithfully made all his mortgage payments for the last 15 years. Then, he got sick and couldn’t work anymore and his insurance didn’t cover it and he fell into foreclosure. John only has $200,000 left owing on his mortgage and his house is now worth $1.3 million. The bank can’t just come along and sell that home for whatever they feel like. They have to get in front of the court and get a judge to agree to what the market value of the home is and how much it should be listed for. Let’s say the judge agrees to sell the home at $1.349 million and the listing agent will then list it at that price. When you put an offer in on a foreclosure property, it has to be subject free in order for the offer to go before the courts. Any expenses of being able to make the offer subject free, such as paying for a building inspection and paying your bank any appraisal fees, are done without knowing if your offer will be accepted by the judge. Then you have to wait for a court date for the court to approve it. The bank cannot just sell it for whatever they want, they have to go back to court again and have a judge approve a sales figure. So let’s just assume that your offer price was $1.3 million and the lending institution approved it subject to court approval, and the court date is set for 2 weeks from now. The listing agent will continue to get calls on the property and will have to say, “I have an accepted offer on this property; it is for $1.3 million and our court date is March 15th. Would you still like to see it?” The listing agent is allowed to disclose the amount of the offer, as the court has not accepted it yet, only the bank has accepted it. Being the first person with an accepted offer on these deals really means nothing. Actually, you want to wait until there is an accepted offer, find out the court date, and then show up at court and make another offer (knowing what the other offer amount is). You have no way of knowing how many other buyers are going to show up on the court date with their subject free offers. The judge will review all the offers, and since they are all subject free, will almost always pick the highest offer. As a buyer, don’t forget you are getting into a multiple offer situation in a slow market. I have shown up to court on several occasions where other buyers have shown up and there have been as many as 6 or 7 offers (and this was in the ’90s when the market was slow). In closing, don’t always think that you are going to get a good deal when you are involved in a foreclosure. Personally, I wouldn’t even touch one myself because I have been through the process and I see how it works. There are really no amazing deals, as the court has to sell it for market value.